The team at Triage Partners has more than a hundred years’ combined experience developing solutions to complex challenges related to information and communication technology. Our process has been honed over the years by a wealth of experience, a depth of knowledge and the spirit of innovation that infuses our organization from top to bottom. As we hear about the challenges your organization faces, our experience and knowledge give us a different perspective and allow us to identify problems. We find opportunities for greater efficiencies and enhanced services. The success of any project depends on the people, and Triage only uses the most highly skilled, certified workforce available. Our proprietary software allows us to streamline workflow to ensure on-time delivery of services and a level of service that consistently exceeds our customers’ expectations. Our software also allows us to provide customized reports that allow you to quickly and easily interpret and act on relevant data. Yes, we work hard, but it’s not only about working harder. It’s about working smarter. 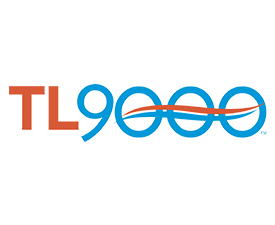 As a TL 9000 and ISO 9001:2008 certified organization, we are committed to providing the highest standards of quality. Let us put our efficient, innovative process to work for you.